PHARR — A new occupant sat in the seat next to Mayor Ambrosio Hernandez on Monday, his lieutenant having departed the city after more than a decade here. 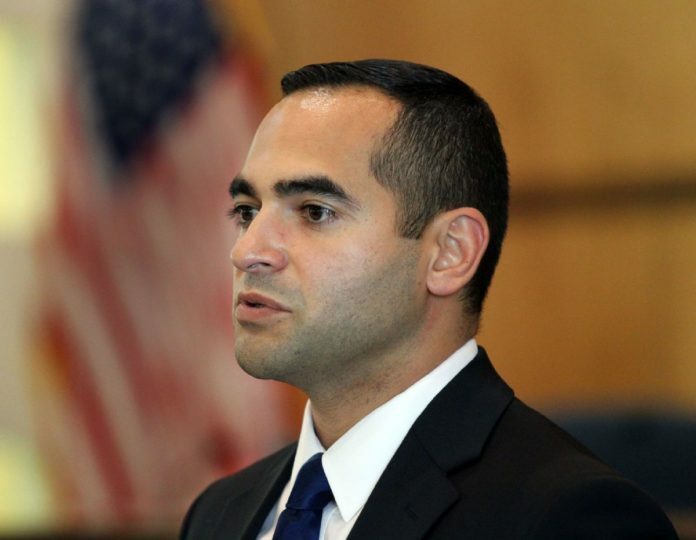 Juan Guerra had been city manager since 2015, soon after Hernandez was elected mayor, and before that, served in various other senior roles with the city. But Monday, Guerra was a town over in his first day as Edinburg city manager, a move that surprised many Pharr staffers, they said, especially after Guerra led a department directors meeting on Thursday, and spoke glowingly about the city at a public event that same day. Guerra was a finalist for the city manager job in Brownsville, meeting with its city commissioners last week. But Edinburg pursued Guerra, in part because of his Marine Corps service, and announced Guerra on Friday. On Monday, during his first day on the job in Edinburg, Guerra said he’s making $225,000, the same salary he made in Pharr. Pharr city commissioners on Monday unanimously elevated Deputy City Manager Ed Wylie to interim city manager at the regularly scheduled city commission meeting at city hall. Commissioners Eleazar Guajardo and Roberto “Bobby” Carrillo were absent. Wylie took over Guerra’s chair on the dais inside the commission chambers at city hall Monday. Commissioners also voted to advertise for the city manager position. Hernandez has his eye on someone for the job, he said with a laugh after the meeting. Earlier this month, when Guerra was flirting with Brownsville, Hernandez addressed Guerra’s possible exit. Guerra on Monday thanked Hernandez and the city for his 11 years in Pharr, but said he wanted to further his career.